Project:65 is a 6502-based 8-bit microcomputer. For phase one of the project, I built the computer on a breadboard and communicated with it over a serial line. Project:65 is able to download and run programs, including the EhBASIC interpreter for the BASIC language. In which we attempt to rebuild the MAX3100 serial port driver with interrupts, buffers, and proper flow control. For my first-ever entry into the Retrochallenge, I’m going to try adding permanent storage (an SD card hooked up to an ATmega microcontroller) to the computer, and write some operating system support for device drivers and a file table. I’ll be indexing all the Retrochallenge-related posts in this section. Project:65 – Introduction and goals for phase 1. Running in circles – Doing a “free run” of the 6502 CPU. Running a program – Hooking up an EEPROM and running a program. 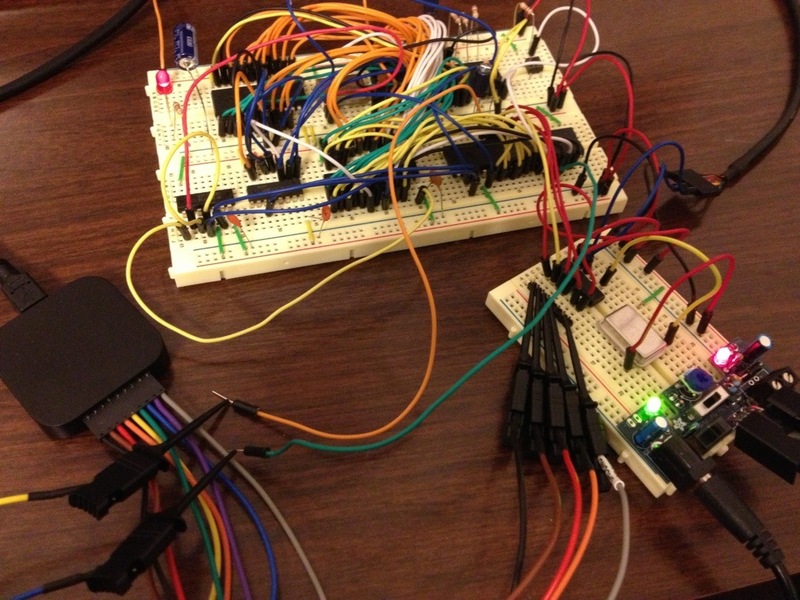 Trivial communications – Using the Commodore 64 to prototype some software for the 6522 VIA IO chip. RAM and IO, Part 1 – Adding RAM, a 6522, and address decoding. RAM and IO, Part 2 – Adding RAM, a 6522, and address decoding. Adding a serial port to the Project:65 computer – Using a MAX3100 to convert our output to RS-232-style serial. Fully armed and operational – Adapting the EhBASIC BASIC interpreter for use with Project:65.